Ontheropes began to pay back some of his hefty price tag with an impressive victory in the BetVictor Free Entry April 15th Maiden Hurdle at Tramore. Bought for £240,000 out of the point-to-point sphere, the Cheveley Park Stud-owned runner had disappointed in bumpers at Leopardstown and Wexford. However, the Willie Mullins-trained five-year-old was the 6-4 favourite for his hurdling bow and made no mistake – coming home 10 lengths clear of Spyglass Hill under a confident ride from Ruby Walsh. “He is a big, green horse. He just wasn’t sharp enough for bumpers, but jumping is his game,” said Mullins. The champion trainer went on to complete a treble on the card, with Paul Townend steering Class Conti to a wide-margin win in the Tom Murphy Car Sales Race Day 31st May Chase and Stops A Nation taking the closing Irish Stallion Farms EBF Mares (Pro/Am) Flat Race under Patrick Mullins. Mullins snr said: “She is a nice mare and she’ll go to Punchestown now for the mares’ bumper. She has a nice pedigree and will probably go back on the flat as well. She will be a dual-purpose mare. Shimmer And Shine (7-1) dominated from the front in the Irish Stallion Farms EBF Mares Maiden Hurdle for trainer Peter Croke and jockey Andrew Ring. Croke said: “It was the plan to try to make all. She went out in front the last day at Fairyhouse and seemed to enjoy it. Kilkeaskins First was another all-the-way winner in the www.tramoreraces.ie New Website Handicap Hurdle. Representing the father-son combination of Philip and Luke Dempsey, the 9-2 chance came home 24 lengths clear. Philip Dempsey said: “That was grand. The ground is pretty bad out there. That is his fourth win now. The David Broad-trained King’s Song was an 8-1 winner of the Vee Bistro At Tramore Racecourse Handicap Chase in the hands of Denis O’Regan. 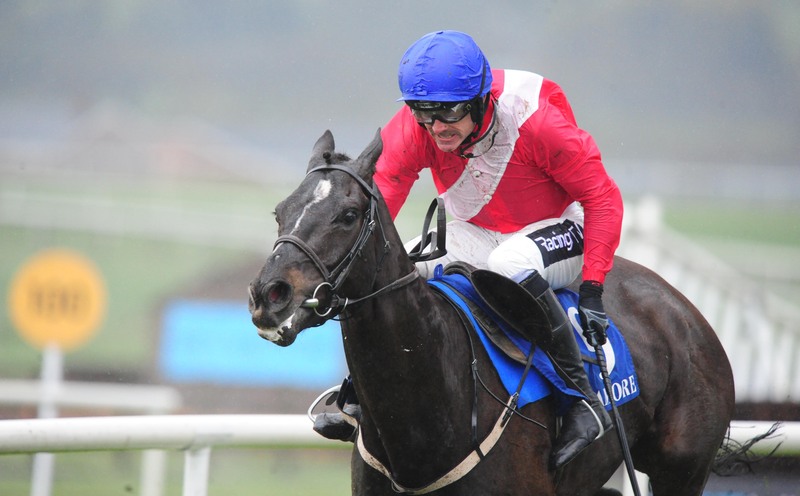 “Today was only a prep run for the La Touche Cup at Punchestown and that is where he will go next,” said Broad. Rank outsider Bellgrove (10-1), trained by Pat Cloke, dug deep for Danny Mullins to claim top honours in the Kasbar Waterford @ Tramore Racecourse Handicap Chase.